After five years as a director at Vend, yesterday was my final meeting. I’ve written here about a number of milestones in the Vend journey to date: from the bike ride where I first got the pitch, the announcement of our first investment round, Vaughan describing the early history in his own words, notes from our recent visits to San Francisco, watching the team expand, and more recently the search for a “real” board. So, I thought one final post would be appropriate. It’s been a privilege to be part of the team from the beginning. It doesn’t feel like that long ago we were putting together cheeky advertisements and videos and hoping that people would notice. Thankfully, people did notice. Suddenly we had retailers from all around the world using our software to run their business. And more and more of them over time! As the team expanded, it was great to be able to spend some time in Auckland, Melbourne, San Francisco and Toronto with the local people who are working hard to make Vend a success. We have also been joined along the way by some of the very best SaaS investors – from here in New Zealand and from Germany, Australia and the United States. When you look back on this sort of thing it always seems like time is short. So, it’s easy, generally, to be motivated by negative FOMO – the fear of missing out. But, in this case, my overwhelming memory will be TOBI – the thrill of being involved. Thanks to Vaughan and the team for having me along for the ride so far. And, especially to Miki, Barry and (too briefly) Claudia and Sarah for your support as part of the board over the last couple of years. Vend is in an exciting period as the team works to put the business on the right track for the next phase of growth. To everybody involved now, I remain an enthusiastic investor and will watch with interest to see where you can take it from here. You have a huge opportunity to be part of something special, and I know you’ll make the most of it! First, the good news: It’s not nearly as hard as you might imagine to get to San Francisco or Silicon Valley and meet with people that can help with your venture. I don’t mean physically (it’s a single flight – about 12 hours – and you’re there). I mean mentally. We have all convinced ourselves that we need to qualify before we belong in the US. Ideally starting somewhere safer and easier, like New Zealand. Locals there don’t think that. However, there is also bad news: Being a kiwi start-up doesn’t make you special. Nobody will care that you had to fly a long way to get there, or that you talk funny (we met people originally from India, Australia, Israel, Eastern Europe and Florida – everybody talks funny!) You will have to do the hard yards and earn it just like everybody else there does. In Palo Alto we met with Elizabeth and Dan from ScienceExchange.com, the day before they presented to potential investors at the Y Combinator Demo Day. I told them that many people back home think we need a Kiwi version of Y Combinator. Their response to this helped to put into words something I’ve been struggling to articulate for a while: There is already a Y Combinator for New Zealanders … it’s Y Combinator … you just need to apply, and if you’re good enough you’ll get in. And if not, why should an equivalent program in NZ be interested in you when they are not? Later in the day, down the road at Stanford we got to see Vend in use at the Student Store and spoke to some happy customers there. They found us on Google, signed-up for a trial and implemented it without ever talking to us in person. 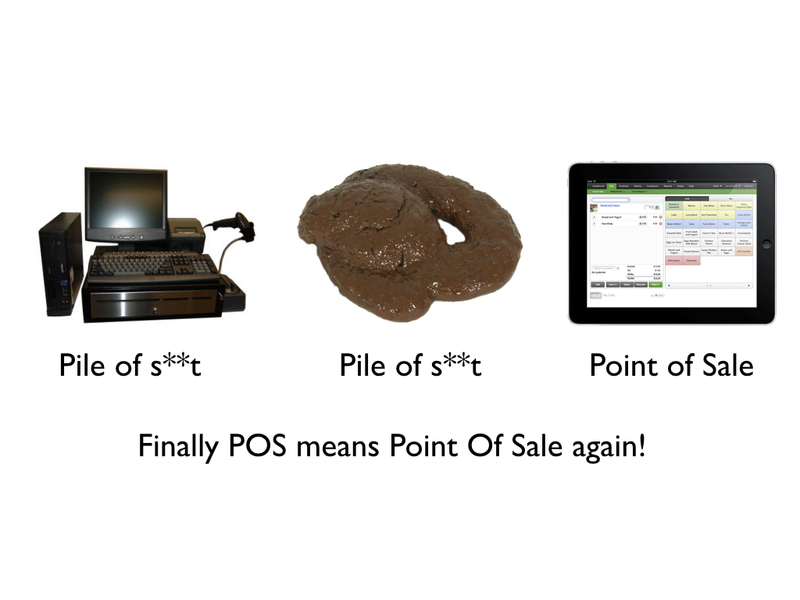 They think Vend is great POS software. We’re excited to have them as a customer which has opened other doors for us. Everybody is happy. So, good news and bad news – it’s much easier and much harder than you think. To get a foot in the door you just need to be worth meeting with!